The cyber security industry event of the year takes place on July 4th – and there are only a handful delegate & supplier spaces left. Time is running out to secure the remaining complimentary VIP delegate spaces and supplier stands at the Security IT Summit, which takes place at on July 4th at the Hilton London Canary Wharf. 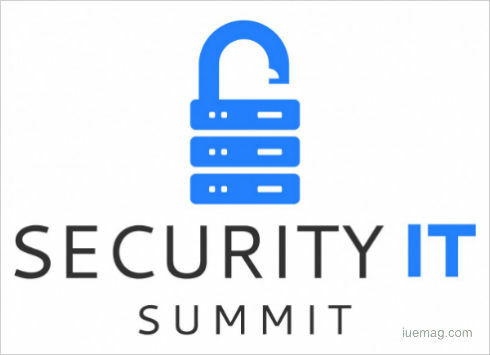 The Summit is a highly-focused event that brings senior cyber security professionals together for one-to-one business meetings, interactive seminars and valuable networking opportunities. Delegates will meet with only the most trusted solution providers, who will be able to talk through projects, concerns and obstacles, offering the best advice as well cost-saving solutions. Confirmed suppliers include LogRhythm, 10Duke, Bomgar, Celestix Networks, CensorNet, Darktrace, ESET, Infradata, LGC, Onapsis, Okta, SonicWall, Performanta, Pervade Software,PhishMe, PT Global Solutions, Twist & Shout Media, Unipart Security, Gemserv, IDECSI, OneLogin, Varonis, WinMagic Data Security and Zonefox. Confirmed delegates include representatives fromUBS, Kingfisher, GE Capital, RWE Innogy, Specsavers, Sainsbury’s, Arcadia, Bank of America Merrill Lunch, NGC, Astelias, Nomura, Clifford Chance, Save the Children, Aviva, The Open University, Tesco, Nomura, Barking, Havering & Redbridge NHS Trust, The Hillingdon Hospitals, Close Brothers, London Borough of Hackney, The National Trust, Westfield (Europe), SAS International, The Celtic, Worldpay, SSP Group, DST, Ford Credit Europe, SI Group, Cancer Research UK, Impeliam Group, L&Q, RNLI, Smart Communications, Vaultex UK, Elysium Healthcare, ERM, Yorkshire Housing, Motor Insurer’s Bureau, Just, Kennedy Group, Morgan Hunt, Simply Businessand many more. Delegates will also learn about the latest cyber security trends in educational seminar sessions led by some of the industry’s leading lights. Topics include ‘Threats are evolving. A new approach to cyber security is required’, ‘Going beyond CASB to manage tomorrow’s threat landscape’ and what looks set to be a very interesting session by ex-fraudster Elliot Castro on ‘Fraud: How it’s done – and what to look for’. The iUeMagazine team is delighted to work with the Security IT Summit 2017 as Online Media Partners & is expected to bring Unlimited Inspiration for all readers from the proceedings of this event. Staying tuned to the enriching updates from this event is recommended. To secure a complimentary delegate place, call Liz Cowellon 01992 374072 or email l.cowell@forumevents.co.uk. For more information, visit www.securityitsummit.co.uk. Any facts, figures or references stated here are made by the author & don't reflect the endorsement of iU at all times unless otherwise drafted by official staff at iU. This article was first published here on 20th June 2017.